1. Heat the olive oil in a large pot with lid or Dutch oven over moderately low heat. Add the garlic, stirring continuously for a minute or two to prevent burning, then add the red pepper flakes for another couple minutes. 2. Reduce the heat to low and stir in the wine, a can of diced tomatoes, 2 tablespoons of chopped parsley, and the bay leaf. Partially cover and let simmer for 25 minutes, stirring occasionally. 3. About half-way through the simmer, get the pasta started. In a separate 3-qt pan, bring water to a boil and stir in a tablespoon of salt. 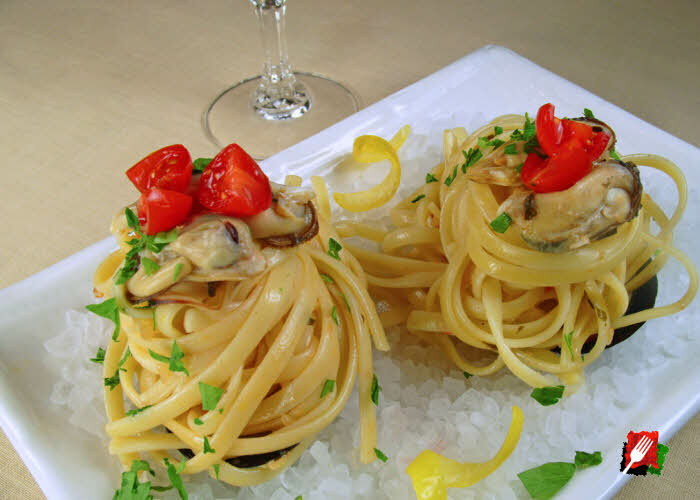 With the water still boiling, add the linguine pasta and cook al dente per package directions. 4. Increase the heat for the pan with the wine and tomatoes and bring to a boil. Add clean, closed mussels to the pot and cover. Continue cooking on high heat, shaking the pot occasionally until the mussels open, about 3 to 5 minutes. Discard any mussels that do not open. 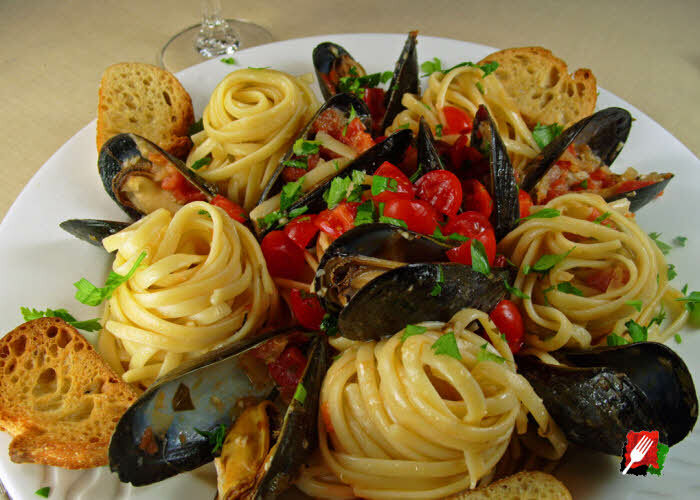 Add the cooked (and drained) linguine to the pan with the mussels, mixing all well, gently stirring to coat the pasta before serving. 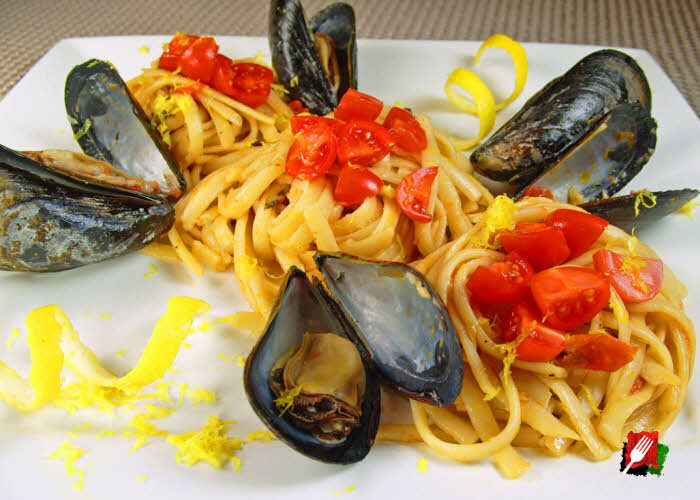 After plating the pasta and mussels, freshen the dish by topping with the remaining chopped parsley and add a few strokes of lemon zest over each plate.